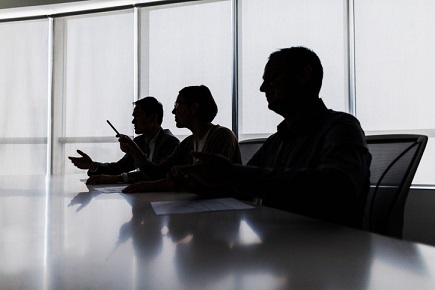 A longtime investor advocate is alerting the Canadian Securities Administrators (CSA) to banks’ use of corporate internal ombudsmen to handle investor complaints — a process he says could delay or prevent issues from being resolved. The Investment Industry Regulatory Organization of Canada (IIROC) and the Mutual Fund Dealers’ Association of Canada (MFDA) require firms to respond to client complaints within 90 days after they’re filed. Such complaints are meant to be addressed to the Ombudsman for Banking Services and Investments (OBSI), which is regulated by the CSA. However, banks and insurer-owned dealers are encouraging complainants to use their recommended corporate internal “ombudsman.” According to Ken Kivenko, president of investor protection group Kenmar Associates, such entities are not regulated by the CSA or IIROC. “Complainants are not aware that internal [ombudsmen] are not true independent [ombudsmen],” Kivenko said. He explained that such internal arbitrators do not operate with transparency. Information about their governance, quality assurance, or user satisfaction statistics is not published. Any compensation conflicts they may have, such as profit sharing and stock options, are also not disclosed. Kivenko said that internal ombudsmen do not tell investors that filing a complaint with them does not stop the 180-day clock for investors to refer their case to the OBSI. Since these entities do not disclose their methodology for assessing complaints, there’s no way to verify their bases for rejection of claims. Kivenko urged the CSA to ban the use of internal ombudsmen. If that’s not possible, he said, banks and insurers should agree to a limitation clock pause, a 90-day cycle time, and a requirement to provide the disclosures necessary for informed complainant consent. He also asked that CSA, IIROC, and MFDA complaint rules and materials be updated to emphasize the issue. He further called for the regulators to make the public more aware of the benefits of using OBSI and how they can file a complaint with the service. Investors should also be alerted to the risks of using internal ombudsmen, he said. “We believe taking these actions will improve investor protection, the central mandate of the CSA,” he said.